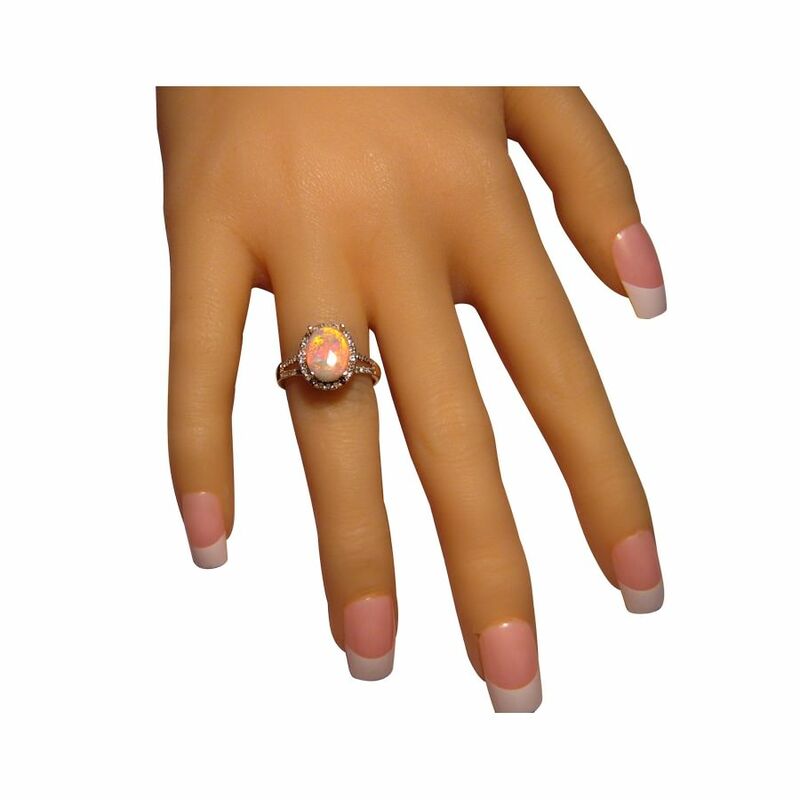 A fiery Opal and Diamond ring in 14k Gold suitable as an engagement ring. In stock and ready to ship. 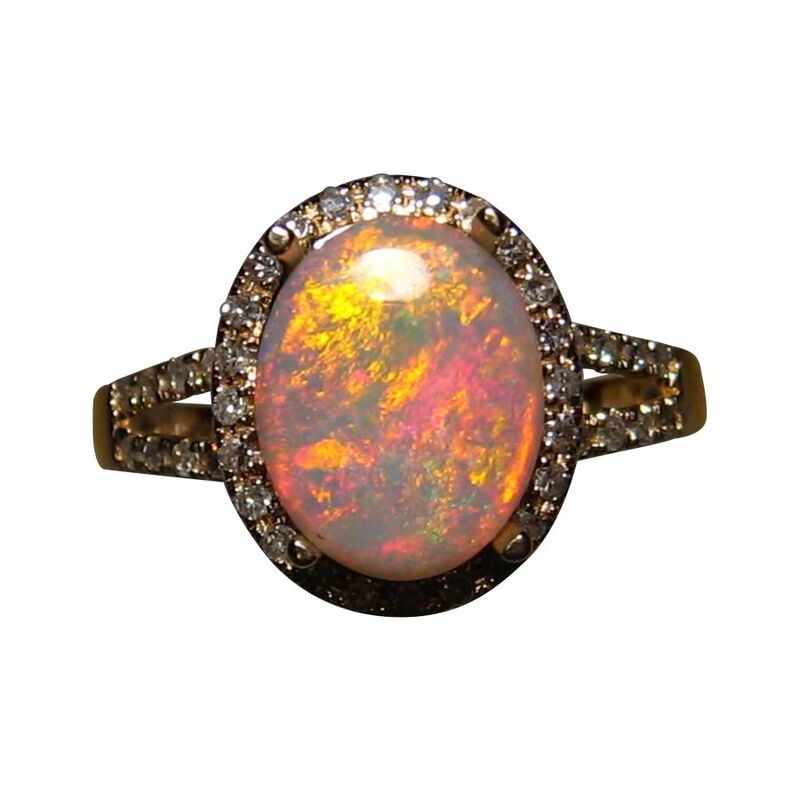 A beautiful Opal ring with an oval Lightning Ridge semi Black Opal that weighs almost one and a half carats and is accented by a halo of pave set diamonds with the shank also set with diamonds to halfway down. 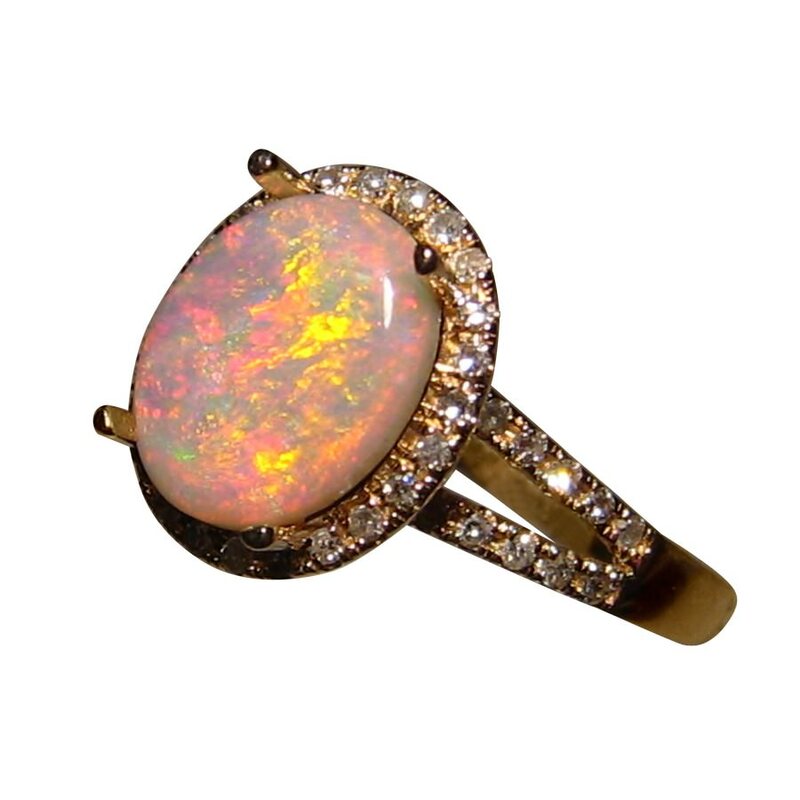 The Opal flashes Red and the uncommon Orange and the video below will show the play of color as well as the sparkling Diamonds. 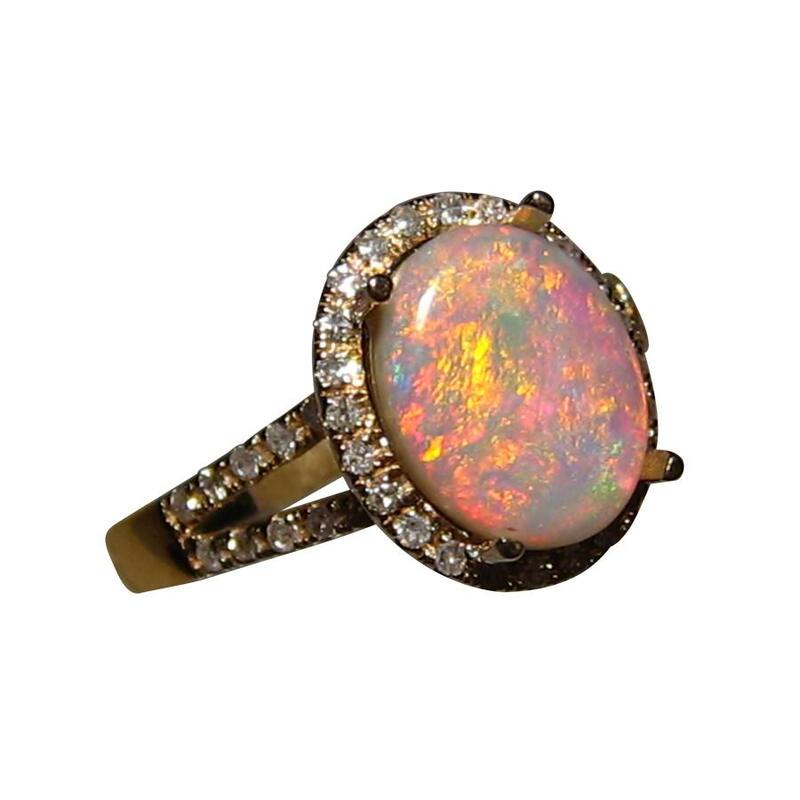 A beautiful Opal ring that is ready to ship in 14k Yellow Gold in a size 6 ¾ or will take about 21 days for any other ring size or Gold color. The Opal will be securely set after purchase so if you would like higher quality diamonds or prefer it mounted into a different ring or pendant setting, contact through this product for a no obligation quote.